The District currently provides 55 percent of the electrical power needed to operate the treatment facility and all of the process heating needs using an aging and undersized cogeneration system. The Master Plan included recommendations to replace the existing system and building with a new cogeneration facility to increase the capacity and enable full utilization of current and future biogas production. The new system will replace the two, existing, older technology engine-generators with high efficiency advanced reciprocating engine system (ARES) lean-burn engine-generators. The new engine-generators operate at over 40 percent electrical efficiency, a 36 percent increase over the current older engines. The increased engine size and efficiency will allow the plant to fully utilize the projected increase in digester gas while providing additional power and heat for process requirements. Provisions are being made in the design of the sludge thickening and digestion process to allow the digesters to be supplemented with grease trap waste (fats oils and grease) and food waste to generate additional biogas. The new cogeneration system will allow the District to convert the additional biogas to heat and electrical power and potentially achieve Net Zero energy status (i.e., provide 100 percent of the District’s power and heating needs through self generation using biogas). In addition to increasing capacity to support the expansion of the biosolids treatment process, the New Cogeneration Facility will improve exhaust emissions to meet stringent air quality requirements. These improvements will help the treatment plant stay below a major source air emissions classification while increasing biogas utilization and providing the additional heat and electrical power necessary to support the utility needs of the treatment plant into the future. The New Cogeneration Facility improvements include construction of a new 11,500 square foot building. 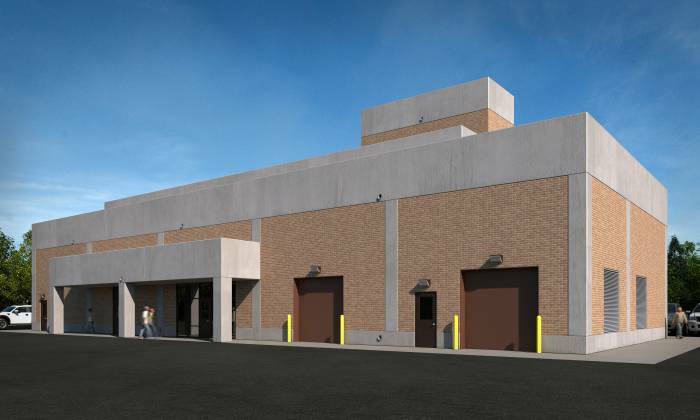 The building will house two new 1,100 kW advanced lean-burn engines with space for a future third engine, two boilers for backup heating supply, biogas treatment systems for siloxane removal, and heat recovery systems including heat exchangers and plant heat reservoir circulation pumps. The building also includes an electrical room, mechanical equipment areas (for pumps, boilers, heat exchangers, siloxane removal system, and oil tanks), operator’s office/control room, restroom, and workshop.